The US Supreme Court has declined to block a judgement from an Ecuadorean court that a US oil firm pay billions in damages for pollution in the Amazon. 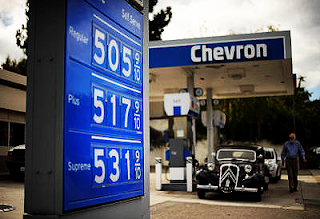 Chevron was fighting a ruling that it must pay $18.2bn (£11.4bn) in damages, a sum increased to $19bn in July. It is the latest move in a decades-long legal wrangle between Texaco, bought by Chevron in 2001, and the people of the Lago Agrio region of Ecuador. The decision could affect other oil firms accused of pollution. The high court did not explain why it decided to reject the appeal from Chevron. The case claimed that Texaco contaminated land between 1964 and 1992, and has triggered several other lawsuits in courts within the US and elsewhere. But Chevron has said it believes the judgement, handed down by a court in Ecuador in February 2011, is fraudulent and not enforceable under New York law. In March 2011 a court in New York issued an injunction that blocked the judgement. But it was overturned in January this year by an appeals court, which said Chevron had challenged the judgement prematurely. The appeals court also said the New York judge could not stop other, foreign courts from enforcing the judgement – something the Ecuadorean plaintiffs are working to do in Canada and Brazil. The judgement originally ordered $8.6bn in environmental damages, but that was more than doubled because the oil company did not apologise publicly. “While Chevron is disappointed that the court denied our petition, we will continue to defend against the plaintiffs’ lawyers’ attempts to enforce the fraudulent Ecuadorean judgment, and to further expose their misconduct,” Chevron said in an email statement. The oil firm has also challenged the judgement under an international trade agreement between the US and Ecuador, due to begin in November. This entry was posted in Article, Links, reblog and tagged 11 October, 2012, American Kabuki, Disclosure, Earth, spiritual, Spiritual evolution, Supreme Court Denies Chevron $19bn Equador Appeal, World. Bookmark the permalink.